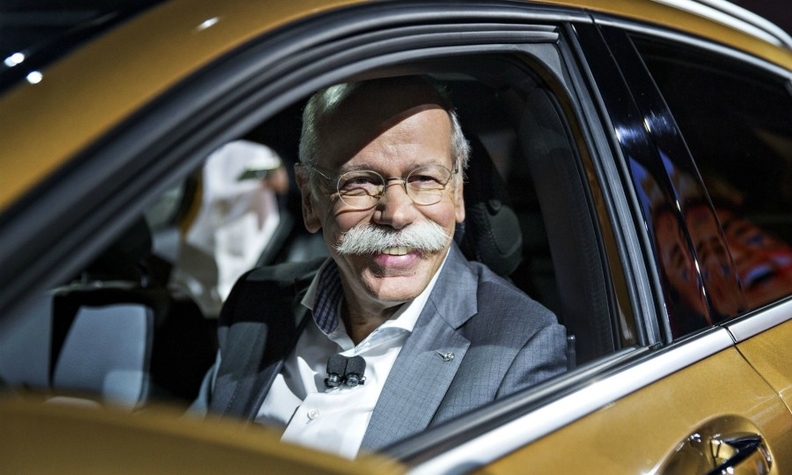 Dieter Zetsche: "We are in talks about other topics which have a bigger dimension." STUTTGART -- Elon Musk’s praise for Daimler AG’s Mercedes-Benz Sprinter van triggered talks between the German manufacturer and Tesla Inc. over potential cooperation on an electric version. 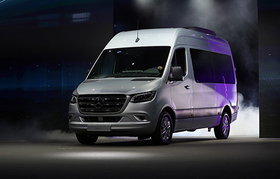 The enthusiasm by Tesla’s CEO was apparently spurred by feedback from company technicians who use Sprinter vans to travel to customers requiring service, Zetsche said. Daimler will start offering an electric version of the Sprinter later this year. The mid-sized van will have a battery range of about 93 miles and a maximum payload of more than 2,200 pounds. It remained unclear if the potential project would involve joint development of a new vehicle or if Tesla technicians would switch to the upcoming battery-powered version. A cooperation with Tesla would be a revival of ties that date back a decade when Daimler acquired a stake in the Silicon Valley startup. It sold the holding in 2014 and booked a $780 million windfall profit at the time. Daimler’s existing alliance with Renault SA and Nissan Motor Co. forged in 2010 is “largely unaffected” by the tensions that erupted following the surprise arrest of Carlos Ghosn, Zetsche said Wednesday. Joint projects in areas like vehicle development or engine supply are mainly bilateral contracts with Renault or Nissan. “We’ll just have to wait now how the alliance is developing further,” Zetsche said. The maker of Mercedes-Benz luxury cars is also discussing further cooperation projects with its largest shareholder, Zhejiang Geely Holding Co. Zetsche said the company is open to adding Geely-made premium electric cars to a ride-sharing initiative in China that was announced last year and is so far focused on Mercedes models. In October last year Daimler said it was setting up a ride-hailing joint venture in China with Geely after the Chinese company bought a 9.69 percent stake in Daimler and demanded an alliance, catching German managers off guard. Germany's government on Tuesday said it could buy stakes in domestic companies, including automakers, as a way to prevent foreign takeovers, presenting a marked shift in industrial strategy.